There are regular opportunities for volunteering at our homing centre in Market Weighton, foster unit in South Cave and shop in Beverley. Please read the following descriptions and carefully consider the regular time commitment required before downloading our volunteer forms and applying. Instructions for returning your fully completed form can be found on the second page. NB WORK EXPERIENCE STUDENTS – Applications should be made by letter only, evidencing your experience & aptitude for the role; please DO NOT use the volunteer form. All volunteers will be expected to work with an existing volunteer for up to 4 sessions (shifts) as part of their training. As a result we request you to be flexible about the times you can attend. Once new volunteers are fully trained to our satisfaction we will try to agree a mutually convenient time slot that is currently vacant. Under 18’s – As children require adult supervision we may not be able to accommodate applications from under 18’s unless accompanied by an adult. As the homing centre is open to the public during the day it is important shifts are completed by 11am and start after 5pm. Shifts require on average 2.5 – 3 hours to complete. We try to pair up volunteers where possible. 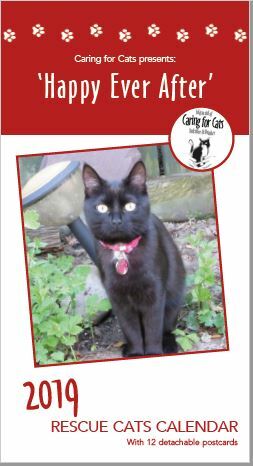 Scope: Carers are needed twice a day, morning and evening, to feed the cats, clean their pens and litter trays, and give them love and affection. Maintaining hygiene in the cattery is extremely important, and all pens, equipment and the floor need regular and thorough cleaning. The work is moderately physical and involves lifting full litter trays and bending down to floor-level pens. Socialisation of the cats is an important aspect of the role. Human contact is vital for these cats that have often had bad experiences of people – please take the time to interact sensitively with each cat. Full training and a set of guidelines will be provided. The foster unit is not open to the public and therefore the shift times can be more flexible. However, the morning shift must start no later than 9am due to medication requirements. The scope of the role and skills required are largely the same as for Market Weighton (see above). However, to volunteer here you must be very confident with cats, as you may be working with timid strays, ferals and sick animals that need to have medication administered. Our isolation pens are also based at South Cave. This is where the most seriously sick and injured cats are cared for until they are fit enough to be moved into the main unit. It is essential to follow our strict hygiene procedures to prevent the spread of disease. Which day(s) are you able to volunteer regularly? Shifts required are 2.5 - 3 hours. Which cattery location are you interested in? Stockroom: We receive regular mixed bagged donations of clothing, shoes, books, games, CDs/DVDs, jewellery, home wares and bric-a-brac. A large part of the daily work is sorting through these, categorising, and if necessary cleaning bric-a-brac and ironing clothes before they can be displayed. It is important to keep this area as clean and tidy as possible to maintain health & safety standards. All volunteers are expected to contribute towards this. Pricing items & restocking shelves: Guidelines are provided for pricing items which then need to be placed in the correct area of the shop. Creating shop displays: The window display should be changed regularly, providing a focus on items that reflect the seasons or holiday periods to attract and draw customers in. Inside, various mini-displays are also required to highlight different sections of the shop in rotation. Operating the till & customer service: This is a customer-facing role where you will be greeting customers, offering advice and handling stock queries and occasionally any complaints. We have a touchscreen till and training will be provided on how to use it correctly. A friendly and outgoing personality and good interpersonal skills are required for this role. Ebay shop: Selling items online is a new revenue stream for the charity which needs establishing and properly developing. Anyone already familiar with selling or buying on ebay would be particularly welcome, although guidance will be provided for anyone computer literate who is interested in this aspect of our work. The role involves helping to identify potential suitable stock and researching online eg Google, to establish achievable prices. The item must then be photographed well using a digital camera and uploaded to the site. Good literacy is required to write accurate and eye-catching product headlines and summaries. Sold items must then be well packaged and posted promptly to ensure customer satisfaction. High standards of customer service are essential to receiving five-star customer ratings and building our online shop reputation, and volunteers are expected to work towards this goal. Which types of tasks are you interested in doing? We will try to accommodate preferences but flexibility may be required.